"40 nations stopped from moving embassies to Jerusalem"
Efforts by the Arab League have stopped scores of countries from following the US lead and moving their embassies to Jerusalem, the bloc’s assistant secretary-general said Monday. "If it wasn’t for the Arab efforts, more than 40 countries would have followed in US steps and moved their embassies to Jerusalem within months," Hossam Zaki told Al Arabiya’s Al-Hadath channel. US President Donald Trump formally recognised Jerusalem, also claimed by the Palestinians, as Israel’s capital in 2017 and moved the US embassy there from Tel Aviv the following spring. 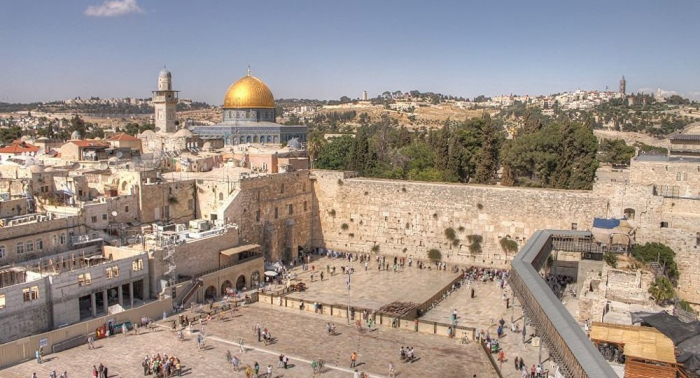 Australia, Guatemala, Brazil, Honduras and the Czech Republic have so far recognised the holy city as the Israeli capital. The United States has also recognized Israel's sovereignty over the Syrian Golan Heights that it occupied after the 1967 war, a move strongly condemned by the international community.